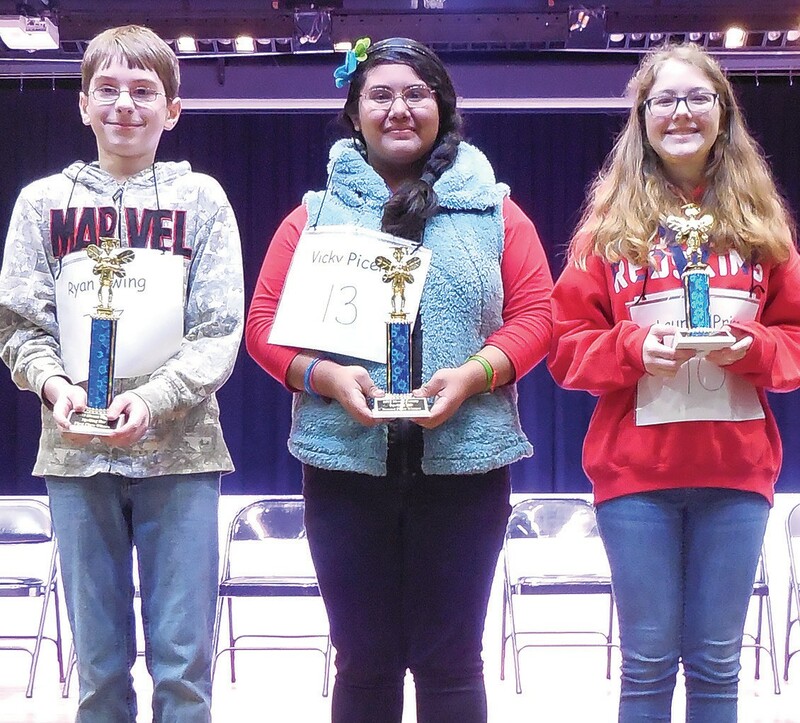 The 2019 Blount County Spelling Bee lasted 10 rounds with 64 words. Ryan Ewing, a seventh-grader at Locust Fork, was declared winner by the judges after successfully spelling the championship word, karate. Runner up is Vicky Piceno, a Susan Moore sixth-grader, and third place is Lauren Price, an Oneonta sixth-grader. Award medals for all participants and trophies for winners were provided by Oneonta Foundation for Educational Resources and presented by Angie Hogeland, county spelling bee coordinator. Ewing will compete in the Alabama Spelling Bee on Saturday, March 9, at Alabaster First United Methodist Church. The state spelling bee is sponsored by Adventure Travel.